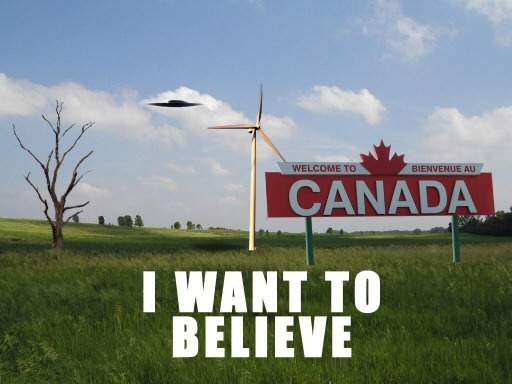 Climate change invites aliens into Canada | Watts Up With That? Climate change invites alien invaders – Is Canada ready? Ottawa, Ontario – A comprehensive multi-disciplinary synthesis just published in Environmental Reviews reveals the urgent need for further investigation and policy development to address significant environmental, social and economic impacts of invasive alien species (IAS) and climate change. “Effects of climate change on the distribution of invasive alien species in Canada: a knowledge synthesis of range change prediction in a warming world” is the collaborative effort of a team of dedicated researchers at York University’s Institute for Research and Innovation in Sustainability (IRIS). This review reveals the barriers to predicting invasive species’ range changes under climate change, including the complexity of the issue, lack of ecological data, and failure to address climate change–IAS interactions in research and policy. Despite the multi-disciplinary nature of the issue, very few studies examine the socio-economic dimensions of the problem and research has tended to focus on predictions of how the distribution of existing invasive species in Canada (including mountain pine beetle, gypsy moth, smallmouth bass and lyme disease) will be affected by climate change, rather than on potential invasive species that might expand their range into Canada. “This is just another example of how climate change is a big threat multiplier,” notes Dr. John P. Smol, Editor of Environmental Reviews and professor at Queen’s University where he also holds the Canada Research Chair in Environmental Change. “We simply have not even begun to understand all the negative repercussions of this problem.” This synthesis is the first to characterize the current state of knowledge on this critical issue in Canada. According to Smith, this knowledge synthesis approach is useful for identifying both what we know and what we don’t know, so that research, policy, and management can be targeted toward addressing those gaps. And, although knowledge of the impact of climate change on invasive species distribution is incomplete, scientific research is accumulating which can be used as the foundation for policy development. The IRIS research team received funding from the Canadian Foundation for Climate and Atmospheric Sciences (CFCAS — www.cfcas.ca), an independent funding body dedicated to supporting research that improves our understanding of climate change impacts on health, safety, economy and environment. Smith’s co-authors are Dr. Nina Hewitt (IRIS Senior Fellow and York University Department of Geography), Dr. Nicole Klenk (IRIS Senior Fellow), Professor Dawn Bazely (IRIS Director and York Department of Biology), Professor Norman Yan (IRIS Core Faculty and Dorset Environmental Science Centre and York Department of Biology), Professor Stepan Wood (IRIS Acting Director and Osgoode Hall Law School), Dr. James MacLellan (IRIS Senior Fellow and York Faculty of Environmental Studies), Professor Carla Lipsig-Mummé (Director of IRIS – affiliated Work in a Warming World program and York Department of Social Science) and Irene Henriques (IRIS Core Faculty member and Schulich School of Business). NRC Research Press, the publishing arm of the National Research Council of Canada (NRC) since 1929, transitioned in September 2010 from NRC and the Federal Government of Canada into an independent not-for-profit organization operating under the new name Canadian Science Publishing. Canadian Science Publishing (which continues to operate under the brand NRC Research Press) is the foremost scientific publisher in Canada and one of the most advanced electronic publishing services in the world. With over 50 highly skilled experts and an editorial team comprising some of the world’s leading researchers, NRC Research Press communicates scientific discoveries to more than 175 countries. IRIS (http://www.irisyorku.ca) is an interdisciplinary research centre at York University dedicated to pursuing multifaceted approaches to the contemporary challenges of sustainability. It is a focal point for sustainability-related research and action at all ten of York’s faculties. Through collaborative and interdisciplinary research, IRIS strives to push beyond traditional research methods to tackle real-world challenges with unique solutions. It supports sustainability-related research of York faculty members and students and is a leader in trans-disciplinary team-based research. Canadian Science Publishing operates under the brand NRC Research Press but is not affiliated with the National Research Council Canada. Papers published by Canadian Science Publishing are peer-reviewed by experts in their field. The views of the authors in no way reflect the opinions of Canadian Science Publishing or the National Research Council of Canada. Requests for commentary about the contents of any study should be directed to the authors. If ever I was terrified it is now. The world has gone crazy for grant money. They will say anything for a buck. Usually it is my tax dollars being squandered, well in this case it is Canadian monies being squandered. Every night I do check the sky! Perhaps the climate change is the reason behind the proliferation of alien Obama relatives in the Boston area. Boy howdy, I sure hope it’s not a Hegemonizing Swarm. Them thinks are nasty. You do realise that this is not about little green men? REPLY: You do realize the tag says “satire”? As many of the world’s economies becomes ever more cognizant of their debt, funding for wonderfully interesting studies might come to an end. There is a down side, there might actually be needed investigations. I might have known Queen’s University is in Ontario – only a crack pot professor from Ontario could invent something so silly. Yes, Professor, alien plants go where ever humans move from their native country to another. That’s how I get my vegetable that are grown in tropical regions of the world. However, we’ve known for decades as many as 119 non-native plant species are found within Banff, Kootenay and Yoho National Parks. Canada thistle, common toadflax, Klamath weed, leafy spurge, tall buttercup, tansy, and spotted knapweed are just some of the species of particular concern. These weeds are invasive, aggressive and spread at a rapid rate. periods, plants and animals were pushed well beyond their natural range by the advancing ice and the changing climate. When the climate warmed, and the glaciers began to recede, these same species slowly followed the glaciers north, and established new habitat. At the same time, the sheer volume of ice at the north and south poles caused a significant decrease in sea level exposing a land bridge between Alaska and Russia. It is thought that many mammal species moved from Asia to North America at this time. While the native range of any species may change naturally with changes in climate and landform, they do so very slowly, often taking many hundreds if not thousands of years. Growing since the last ice age, huh! Wow! As if living things had never migrated due to changing climate conditions before. Or is it that the earth is only 100 years old? Invasive alien species in Canada: 1) Any life form that arrived after we did. This includes: horses, cows, potatoes, Jack Russell Terriers, American EnvroSocialists, sheep, zebra mussels, domestic cats, Greens. 2) Any life form that we ‘discovered’ after 1950 or we have re-categorized and being a mutant of a pre-existing species (ex. American -> American EnvroSocialist). My life’s work is to help victims of abuse and trauma, and needless to say we have no funding to do so effectively. Reading this article made me feel physically sick to think that some people earn a living as professors and this is what they do with their time. I get to counsel vulnerable people who become terrified enough with all the fear mongering as it is. Could I get a grant to fund research into the effects of AGW on the emotional wellbeing of children and, say, autistic adults, due to the positive forcing of nonsense propaganda? I doubt it. I had to check the calendar to make sure this wasn’t an April fool. Is my calendar correct? Whether the “climate” is growing cooler or warmer is due to natural forces, and it matters not what humankind does. Best to stop spending (wasting) huge amounts of money attempting to change it, as that is far beyond the control of humans, and learn how to both live with the changes, and how to best use these “alien” plants and animals for human purposes. Too, best teach students far better in the fundamentals of biology, chemistry and physics, instead of teaching the propaganda of “green” nonsense. 400 ppm of CO2 can be reduced to 40 molecules of CO2 amid 99,960 molecules of a mixture of N2 and O2. It is clearly impossible that a moderate increase or decrease in the temperature of 40 molecules of CO2 could have any measurable effect on the temperature of 99,960 other molecules. These authors seem to be leaning towards policies relating to mitigation after acknowledging that the climate will change. Remember it’s only the climate crazies who think that humans should control the climate to being what it was in 1970, or whatever date their delusions make them choose. So I wouldn’t be too harsh on these folks. (Subject to immediate change of opinion at their first mention of a wind turbine). What I see is a layer of self-congratulatory and -awarding coterie of people, ranging from the UN through government through universities and other organizations. They promote from within their self-selected group and try to keep the rest out (unless they are thoght worthy of inclusion). The irrevenent me thinks of the saying “kiss up, kick down”. This is human nature, and has given us the British “upper classes”. the Canadian “Family Compact”, and the the equivalent in virtually every other civilization. I presume that eventually the pseudo-scientific conflab, like the one that produced this masterpiece, along with the upper levels of Environment Canada and other similar groups, will be cut loose to drift off and leave space for the next group to take their place (for better or for worse). Didn’t I read an expression that tmembers of he old order have to die off before its ideas can finally be put to rest? Canada has been ‘ready’ since the Wisconsinan ice sheet began to recede 12000 years ago. What kind of sky-is-falling pseudo-science is this? With a temperature change of maybe 1.5 degrees in two centuries, how can anyone honestly say that there is a crisis-change going on? As a taxpayer, I’m amazed and more than a little irritated that money is spent on generating such spurious speculation about climate change. Ph.D. University of Toronto 1992. This is such garbage in the face of it all!! With the climate cooling, Michigan will certainly be requesting grant money to study the danger of invasive arctic alien species. Lovely! Almost fell for it! It must be true, we get a lot of alien US watermelons telling us we cannot use our raw resources. Changing to environment means more species types. Ok for species adapted to the old enviroments will face more competition from species previously excluded by the hostile condition. but overal there are more species. The fancy name for this is bio-diverity. I thought we liked bio-diverity. Sure we’re ready for anything alien. Bring it on! More tasty critters to eat! More people to fill up the place! We’ve already got illegal aliens from south of the border (49th parallel that is). We’ve got space, lots of it. At -7c today in Vancouver we could use some of that mythical c02 climate doomsday rapture warming, oh say of about +37c warming would be just about nice right now. Tropical Canada. Ah, one can dream can’t one? @Phillip Bratby Well today was predicted to be April 1 by Jones, et. al. with their GCM models. Ye of little faith. Aha! That explains why there are Atlantic salmon swimming up the rivers on the Pacific west coast now. It wasn’t from fish farms as was originally thought, it was climate change all along. I knew it! You took the words right out of my fingers. I would only add that 5,000 y.a. there were still glaciers in Quebec. Of course this kind of species response and interactions happen constantly. They pretend its bad thing. Also, species spread or retract for a variety of reasons; pretending non-existent warming is causing any go this, however, is patently wrong. Species do not respond to things not happening. First off, it shows how totally biased this person is as it is assumed that all effects of warming would be negative. There is every reason to believe the exact opposite. 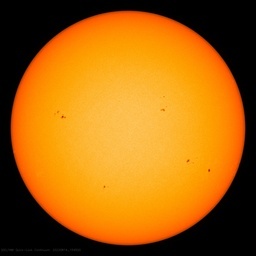 The negative assumption is a political necessity in order to be able to blame warming on human activity. That makes this article a piece of political propaganda unrelated to science. For example, the warmists posit that, if a mountain warmed, the low and high latitude plants would move up and up and eventually the high altitude plants would go extinct at the top. Now, real science has found that the species move up, but they also do not leave where they were. All species, high and low, end up with a wider range than before and extinction risk decreases s diversity goes up. Dusty Miller is a shore plant found in the sand dunes. If you take it away from the shore, it grows like a beast. It actually does not like the salty, harsh shore environment, but it can avoid competition by growing where other plants will not. What about all the positive ones? I suppose they think all change is negative. Too bad life is motion, and motion is change. Canada is threatened by the most destructive and pernicious species of all: Climate scientists. They really do ‘lay it on thick’ don’t they? Or would they really rather that Canadia disappeared under a slab of ice 1,000 feet thick? Canada would benefit from warmer times. The place is somewhat frozen now. However cheery news won’t bring home the govt. grant bacon. It’s got to be scary news. These fear mongers are science prostitutes. Anything for money. No need to worry yet. As long as kangaroos aren’t duking it out with poley bears all is well. What is being hinted at here, I believe, is the once-and-future-goal of the climate change alarmists to re-train the military so that it’s primary objective is to manage the population of its own country. There have been and still are attempts to link “national security” to climate change in both the US and Australia, by prediction food shortages, floods, droughts, looting, crop failure, “displaced populations,” border conflicts, and General Mayhem. The cause for retraining the military to deal with “climate refugees” was even taken up by John Kerry, but the video has since been scrubbed from the internet. Underlying this message and this study, I believe, is renewed efforts trump up the need to refit the militaries of Western nations for “targeted planning” to “handle” citizens in their own countries, rather than their traditional roles of fighting foreign armies and combatants. “[T]argeted healthcare planning will be needed to handle this new pressure.” “Many new infectios diseases will likely spread…” “very few studies examine the socio-economic dimensions of the problem.” “[P]olicy and management intitiatives” for domestic populations are being implicated. Canada must have been like Kenya a few thousand years ago. Wild giraffe, rhino, lions and all. The combined sea ice data suggest that the seasonal Arctic sea ice cover was strongly reduced during most of the early Holocene and there appear to have been periods of ice free summers in the central Arctic Ocean. There’s the Baby and then there’s the Bathwater. Oh, Canada! We stand on guard for thee! Regardless of how the climate changes, invasive species are a real problem that needs to be addressed. I have not read all of the previous comments, so mine might be redundant, but I had gotten the impression that warmists asserted that species were unable to move fast enough to keep in a favorable location as climate warms. Great point! We are constantly told species will die out because they can’t keep up with CC and now we are told that species will spread because of CC. As others have said this is a tax-funded, self-indulgent, egotism at its worse. Guess I’ll have to write a letter…again! Alien species have been in the Vancouver area for a long time. They just refer to themselves as environmentalists. As a friend of mine and I were discussing yesterday, if all the ice melts and floods out Vancouver and SF what’s the big deal. We’re smart enough to move. I”m not sure sure about the alien species. Ah, but The Borg is already here. Resistance is futile. Any above ground insect, mammal or bird that lives in Canada is able to survive a 30 degree Centigrade temperature change in less than 24 hours. In just the last week any above ground insect, mammal or bird that could not cope with a change from about +5 down to -30 will have been wiped out if it was located anywhere in central Canada, from the Rocky Mountains in the West to the Applications in the East, South of Latitude 55 North. In late spring or early fall a similar change (+5 to +30) also does occur. Why is anyone worried about a 2 degree change in 876,600 hours? Before we forget, it was only in April that some guys apparently from NASA and Penn State suggested that interstellar aliens might punish us all for our greenhouse gas sins. The Guardian and the authors scuttled to amend the story after the tide of ridicule hit. Canada has a temperature range from about -70 to +45 degrees C, rainfall between less than 5 inches to more than 50 inches per year, deserts, swamps, mountains, rivers, lakes, deciduous, coniferous and mixed forests, vast grasslands and tundra and area of 9,984,670 square kilometers. What exactly are these ‘climatic barriers’? Since Canada will be headed back under a mile of ice starting sometime in the next 2000 years (my best guess is about 700 years from now) I don’t see how it can possibly matter what lives on that ground Until That Day. The Canadian ice will sterilize any ‘invasive aliens’ more effectively than anything else. It will even remove all those pesky invasive hominids and their city / colonies… (depositing all of them and the rubble in the ‘lower 48’). It’s not a question of “if”, only of “when”. Sometimes it can change quite quickly. The Cattle Egret for example has colonized most of North and South America in less than a century. Such sudden large-scale changes in distribution are actually rather common when conditions change. I blame the education system for producing half-mental-handicapped people, otherwise this kind of news wouldn’t show up. Everywhere except the East African Rift, humans are an alien species. The devastation they have brought is immeasurable. Hence the current push to eliminate them. (For non nerds, Vulcan is Spock’s (why isn’t he a doctor) home planet (though his mother is human?). Dear pedants, is it spelled Spock’s, or Spocks’ ? My phone likes the first version. Years back I researched and wrote papers on population genetics on fragmented landscapes under scenarios of climate change -driven species range shifts. From my later field work as a front line professional mercenary in the war on invasive species, I can assure everyone of the severe naivety of the generals directing such hopeless (even unethical) battles. Canadian academia is channeling funding earmarked “multidisciplinary” to cross-departmental groups of pure specialists rather than channeling it to multi-field hybrid researchers, so instead of the intended holistic views, synthesized perspectives are actually bundles of parallel tunnel vision. This largely useless, abstract “multidisciplinary” (a misnomer in this context) research product is inevitable due to the traditional structure of Canadian universities, which precludes the possibility of acceptable return on taxpayer investment. I call on Canada’s Harper Government to restructure Canadian academia to support truly multidisciplinary supervision of pure specialists by hybrid individuals. The time is ripe for a MAJOR overhaul of the Canadian university system. I recommend complete transformation, hard & fast while the timing is right. Animal, plant and deases ranges change. Always have. Invasive species are like immigrates, some are more welcome than others, but with generations, most become an accepted part of the community. Few people in the USA would want to eradicate horses, cows, sheep, domestic dog and cats, or flowers. The real assistance to invasion is us, and the things we bring with us in our container ships, cars and planes, knowingly and unknowingly, and the use we put the land too. Compared to farming, and diverting water, temp has a very minor effect. -32 degrees C this morning at Fort Saint John, British Columbia. Didn’t see any species trying to invade.